Force metatarsal protective boot. Full grain leather. D3O® flexible internal met guard. 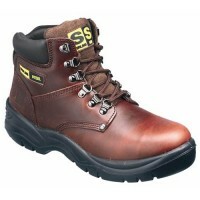 Dual Density Rubber injected sole unit heat resistant to 300°C. SRC slip resistance rating. Injection soling process ensures for a reliable bond between the upper and the sole. Moisture wicking textile lining. 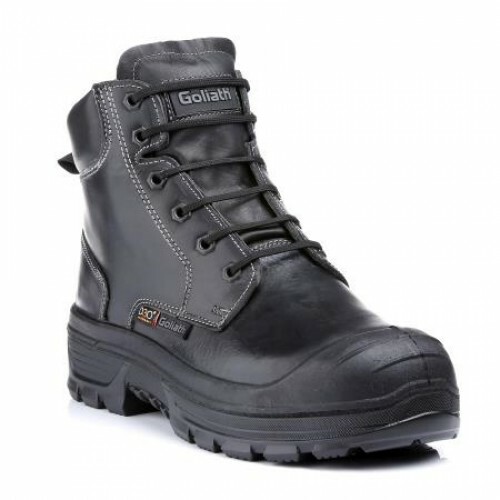 Lightweight aluminium toe cap resistant to 200 joules and nail-proof textile midsole to protect from sharp objects. Meets standard EN ISO 20345:2011 S3 HI CI M HRO SRC.